I'm in the jewelry making mode so I thought I'd share this little gem I made just recently. 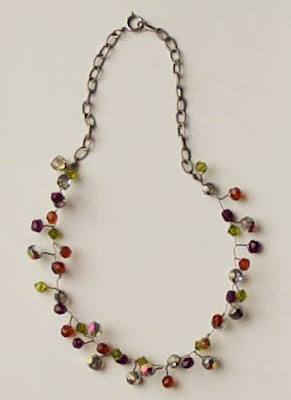 Assorted glass beads, wire and found chain. I'm off to make a clay mold I want to bring to the PMC class today at Stamping Details. Stay tuned... I'll be posting pics of my first PMC projects. Don't forget to visit me at my other place, The Artful Eye.